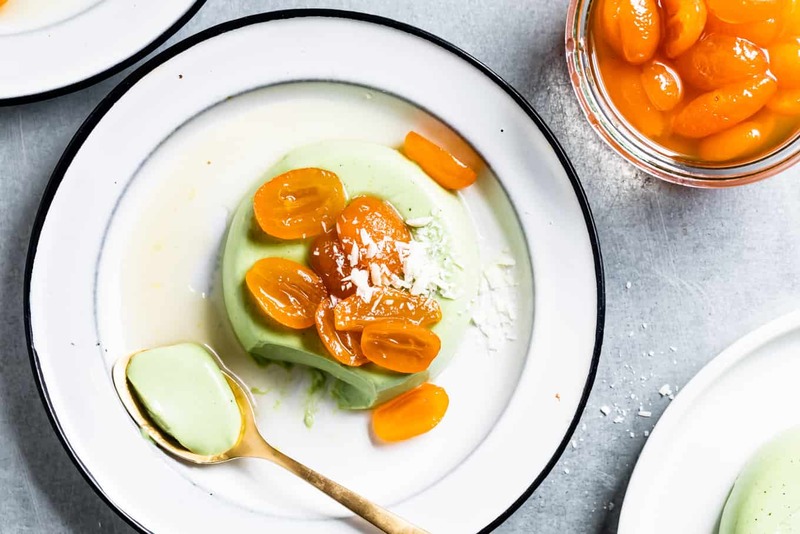 This smooth matcha panna cotta is a super easy make-ahead dessert. 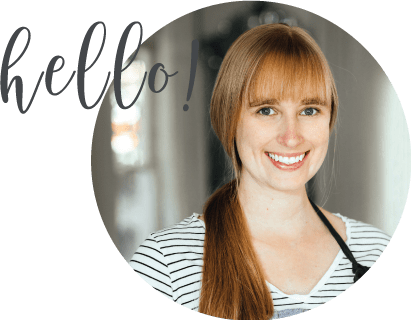 Earthy matcha notes balance the rich sweet cream and pairs well with candied kumquats and shaved white chocolate or your favorite seasonal fruit. 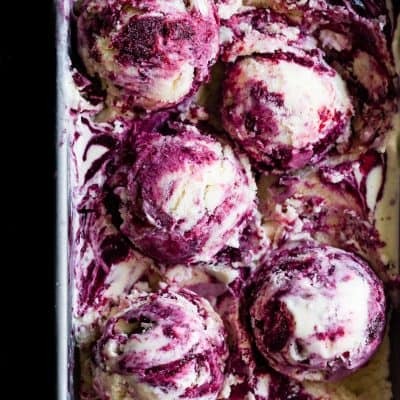 Serve it in dessert jars or unmold it onto a plate! 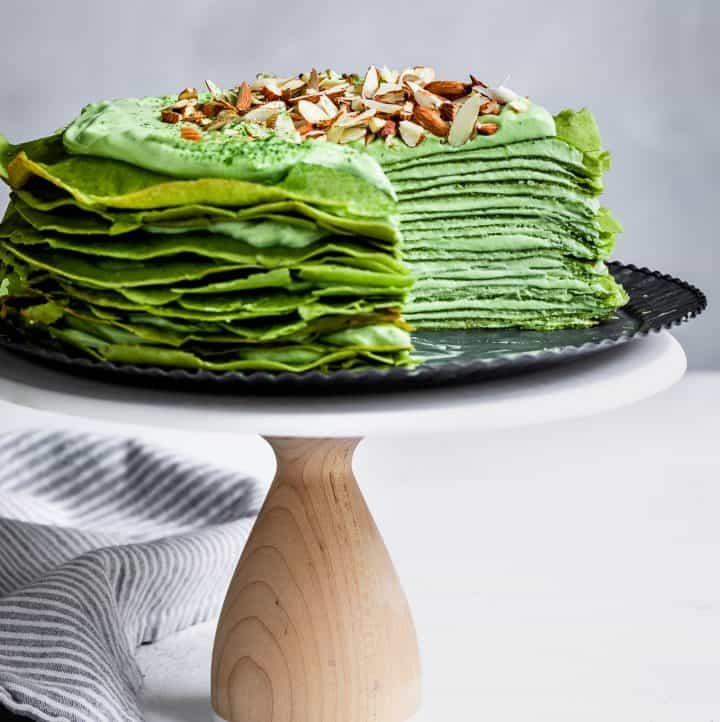 You thought I was done with matcha recipes because Matcha March ended, didn’t you? 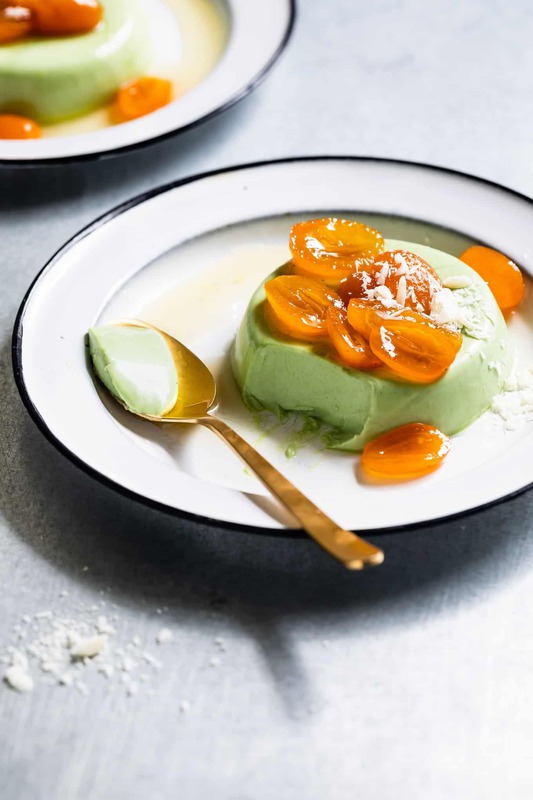 I’ve had this matcha panna cotta recipe ready for you for a couple of weeks, but between the baby refusing to sleep and, well, life with two kids, it just didn’t happen in time. So here we are. 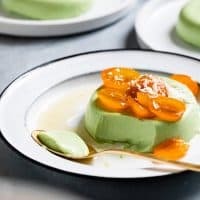 I recommend making this easy green tea panna cotta dessert with candied kumquats and shaved white chocolate ASAP while you can still snag the kumquats at the market. But, if you can’t find them near you, don’t be discouraged, it will be equally delicious topped with macerated strawberries! While Lucas and I can’t seem to keep any tree alive long enough to bear fruit, my mom harvested nearly 12lbs of kumquats from her tree this year. She then showed up at my door with a 12lb bag of kumquats because, it turns out, neither she nor my dad care for them. They’re Lucas’s favorite fruit, but still, let me tell you, 12 pounds of kumquats is a lot of kumquats. We gifted kumquats to all our visitors for a month. Come visit us in February/March next year and you’ll get a goodie bag of kumquats to take home. We’ll also have kumquat smoothies, rhubarb candied kumquat tarts, and honeyed kumquat-topped dutch babies to our heart’s content! Panna cotta makes the perfect Spring dessert. 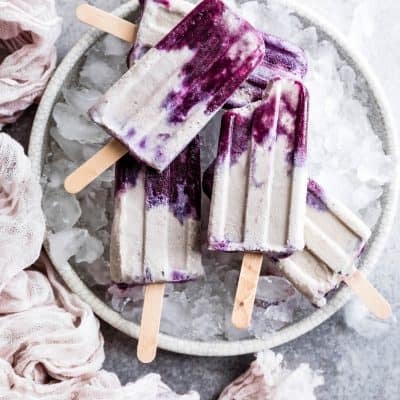 It’s refreshing and best of all, requires no baking. Just a few minutes on the stove to dissolve the gelatin and sugar plus the forethought to do so with enough time to chill. That’s all it takes! 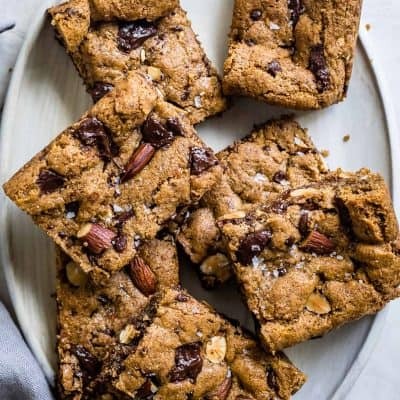 You can make these the night before and unmold them to serve. Or, you can even unmold them a few hours early and continue chilling until you’re ready to serve. Just remember that the longer they chill for, the more firm the panna cotta texture. I recommend chilling for no more than 24-36 hours. And if you really want to make it easy, don’t bother unmolding. 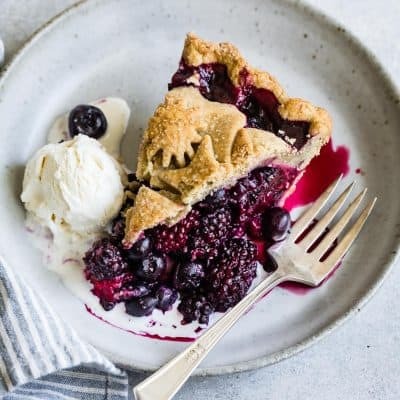 Serve it directly out of ramekins or dessert cups! 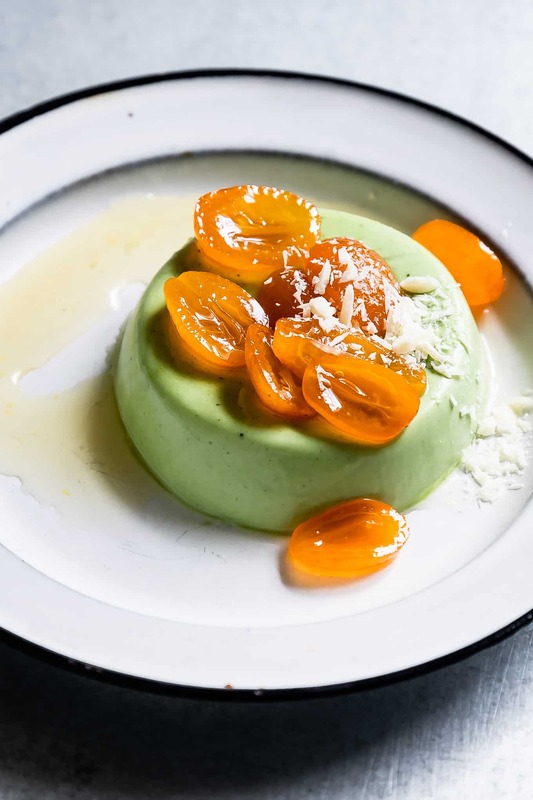 This matcha panna cotta is a simple flavor twist on a classic Italian panna cotta. Matcha’s earthiness is balanced by sweet cream for a chilled dessert that tastes like my morning matcha latte. To infuse matcha into the cream without little flecks floating to the bottom while it chills, I strain my panna cotta through a cheese cloth. 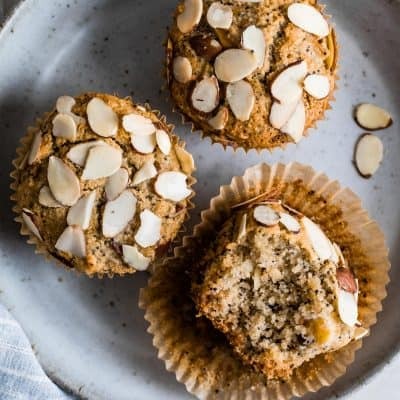 If you skip this step, it’ll still taste stellar and the flavor won’t be affected in the least. You’ll just see little flecks of matcha either in the bottom of your ramekins if you don’t unmold it or on top of the panna cotta when you unmold it onto a plate to serve. 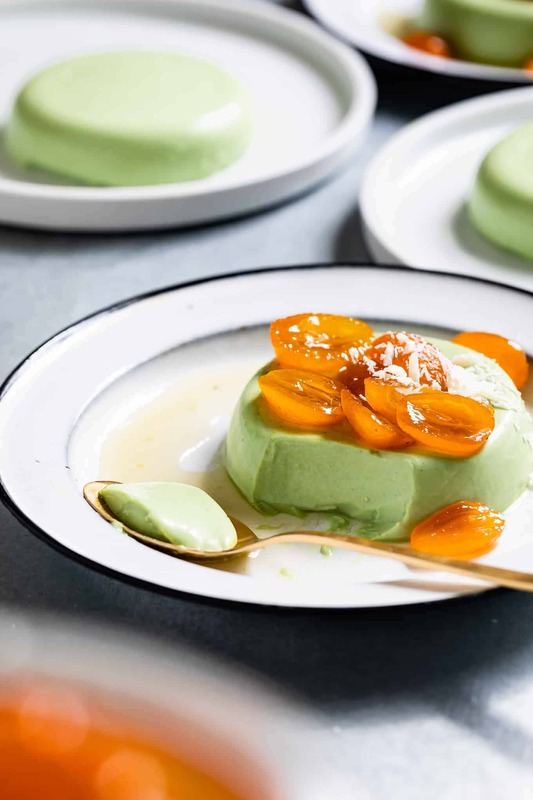 Spooning sweet candied kumquats or macerated strawberries overtop the matcha panna cotta provides contrast to the herbacious earthy matcha. 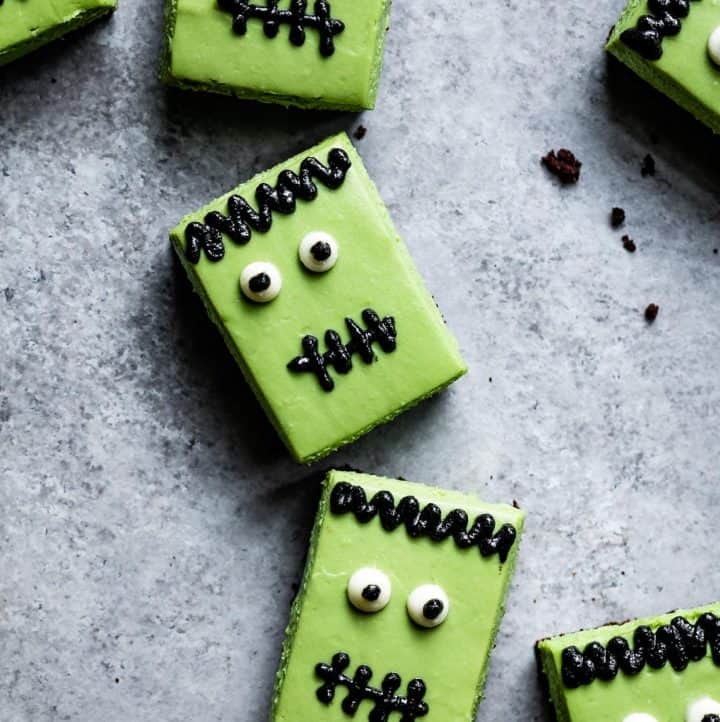 For the most appealing Spring green color, use a high-quality matcha powder. 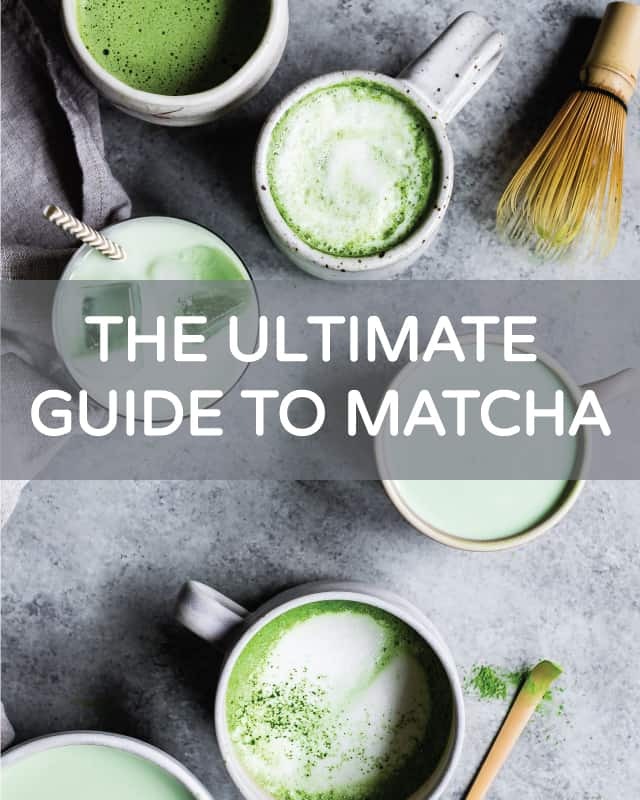 To read more about choosing matcha and to find more matcha recipes, check out my ultimate guide to matcha. Kumquats are one of the most sour tangy citrus fruits because you eat the entire thing, skin included. For some, they’re an acquired taste. Simmering them in sugar syrup cuts their tartness tenfold, making their bright flavors shine without the pucker mouth feel. 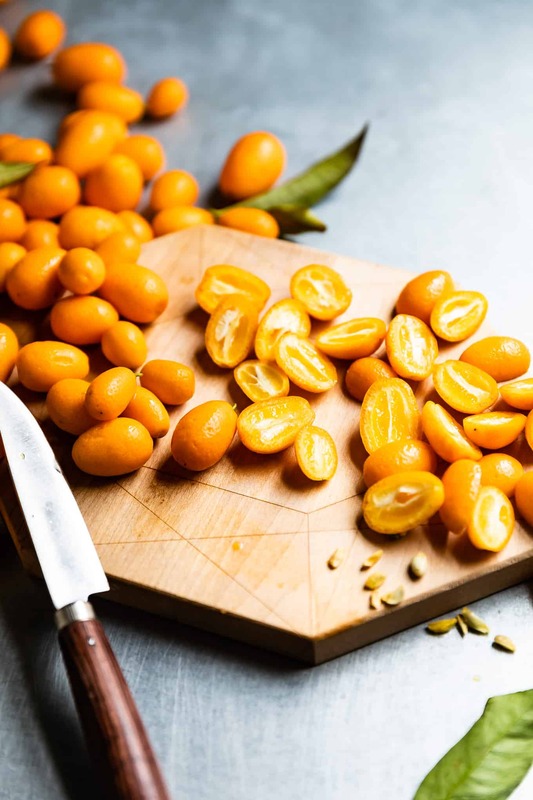 Slice the kumquats in half, lengthwise and remove any large seeds. Simmer the kumquats in a simple syrup bath for 4-5 minutes, then chill along with the syrup until ready to serve. 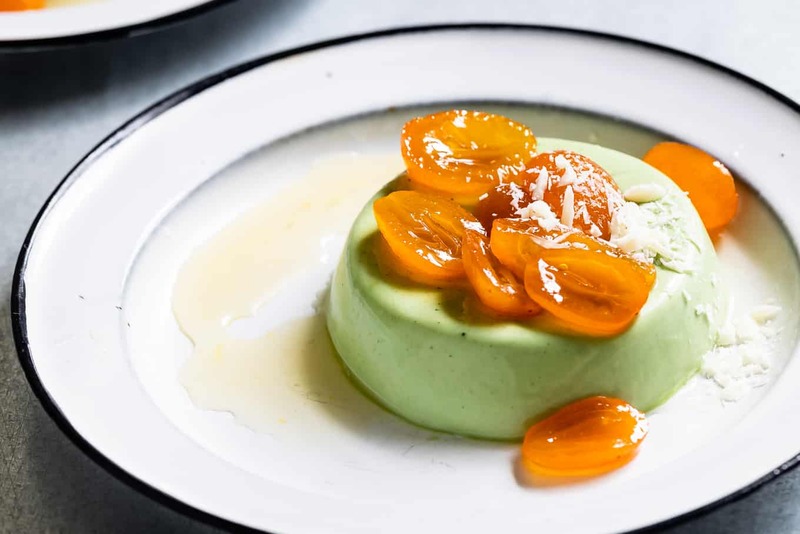 Spoon the kumquats, syrup and all, over the matcha panna cotta. If you're planning to unmold your panna cotta, lightly grease six 4-6 ounce ramekins with coconut oil. Use a paper towel to completely wipe out the oil so only a very very thin layer remains. If you don't plan to unmold your panna cotta, set our six 4-6 ounce ramekins, jars, or dessert cups. Pour the milk into a small pot and sprinkle the gelatin evenly over the top. Let sit for 5 minutes. 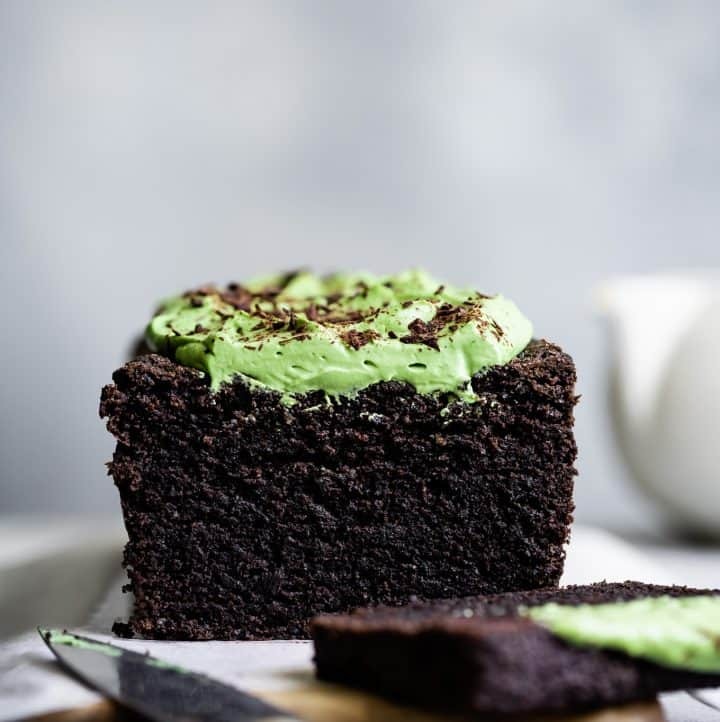 Whisk together the sugar and matcha until combined and you no longer see distinct clumps of matcha. 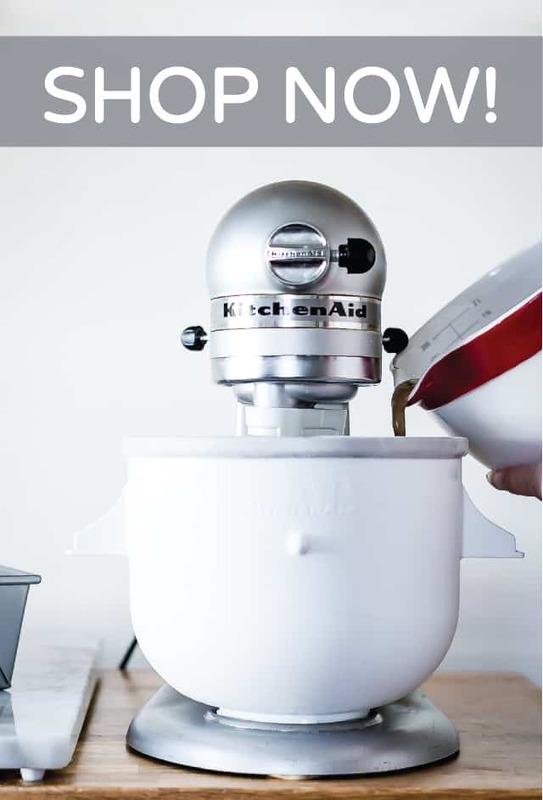 After letting the milk and gelatin sit, heat the milk over low heat, continuously whisking, until the gelatin dissolves but does not boil or scald. You can check that the gelatin is dissolved by dipping a spoon in it and looking for granules. This should only take a minute or two. Add the matcha sugar to the pot and heat on low heat until the sugar also dissolves without letting the milk boil. This should only take another minute or two. Remove from heat and whisk in the cream, vanilla, and salt. Strain the panna cotta cream through a cheese cloth or a fine mesh sieve (see note) then divide into prepared ramekins. Chill for at least an hour if you're not going to unmold the panna cotta, or chill for at least 4 hours or up to overnight if you're planning to unmold. The longer the panna cotta sits, the more firm it will get. Meanwhile prepare the candied kumquats as below if desired. To unmold, fill a small bowl with hot water. Run a sharp knife around the VERY VERY top edge of the panna cotta to release the edge - you don't need to go down more than 1/16th of an inch. Dip the ramekin into the hot water just as high as the panna cotta for a few seconds. Place a plate over the top of the ramekin and invert it. Give it a few taps on the counter to release the panna cotta onto the plate. You may need to repeat the dipping in hot water step if the panna cotta doesn't release right away. 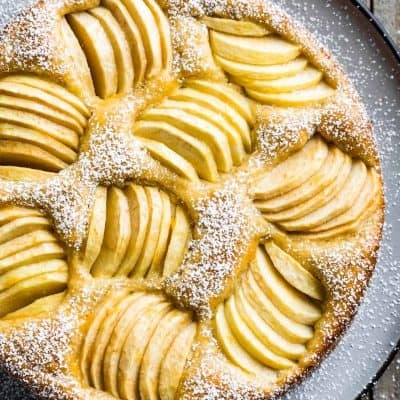 At this point, you can serve it as is, topped with candied kumquats and shaved white chocolate or your favorite seasonal fruit. Alternatively you can chill it for another few hours until ready to serve. Bring the sugar and water to boil over medium heat in a small saucepan, stirring to dissolve the sugar. Add the kumquats and reduce heat to a simmer. Cook until the kumquats begin to turn translucent, about 4-5 minutes. 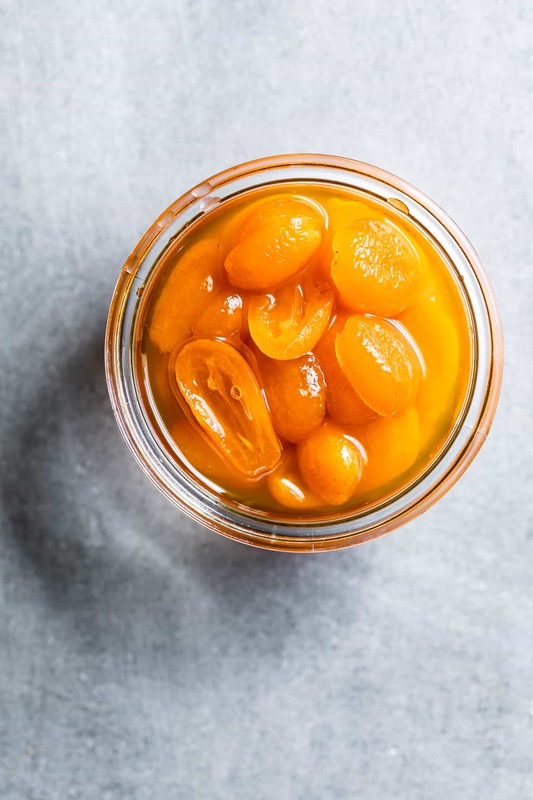 Transfer kumquats and syrup to a jar and chill before serving over panna cotta. *Straining through a cheese cloth will make your panna cotta smoother without visible flecks of matcha powder. 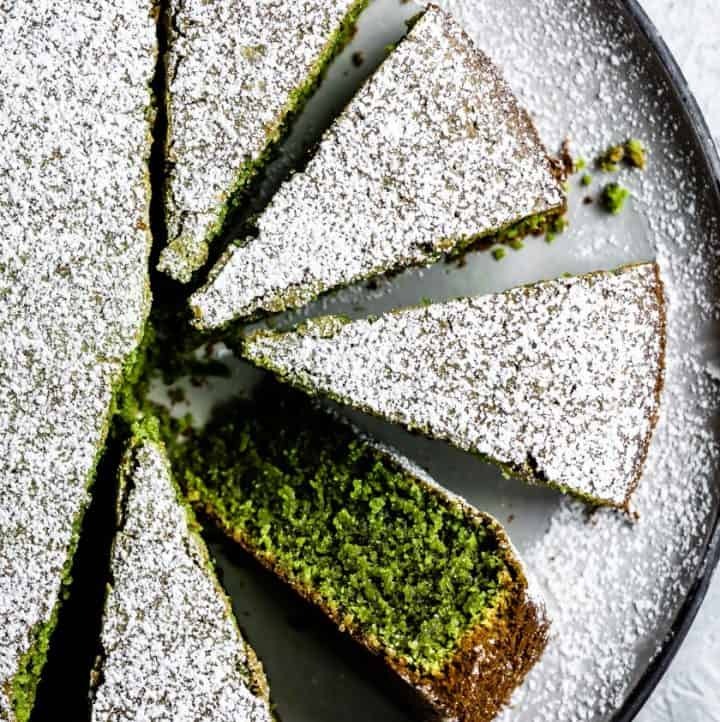 If you don't strain it, it will still be just as delicious, but tiny flecks of matcha that sunk to the bottom will appear on the top when you unmold.